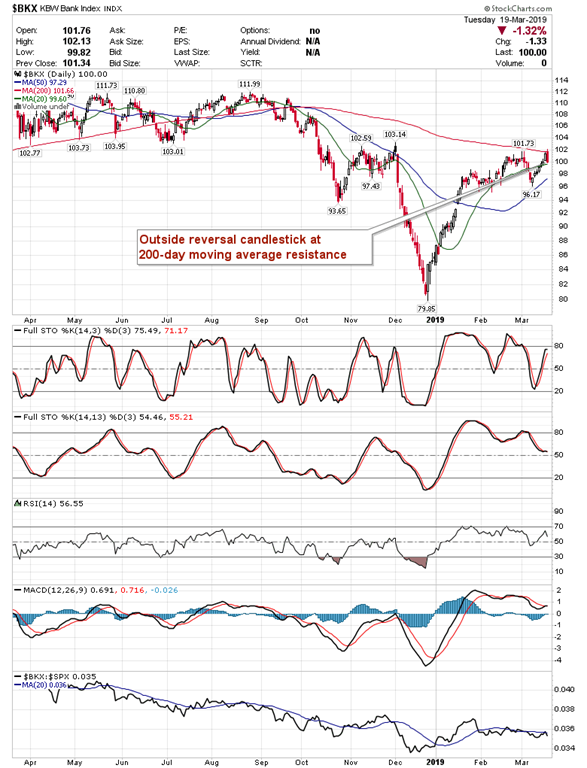 Banks and transports chart outside reversal candlesticks around levels of resistance. Stocks in the US closed rather flat on Tuesday as interest rate sensitive equities traded lower ahead of the FOMC announcement on Wednesday. In typical turnaround Tuesday fashion, the S&P 500 Index was essentially unchanged by the closing bell, giving back a gain of two-thirds of one percent around the highs of the day. There is a high likelihood of consolidation over the next week and a half as portfolio managers rebalance portfolios at the end of the quarter. 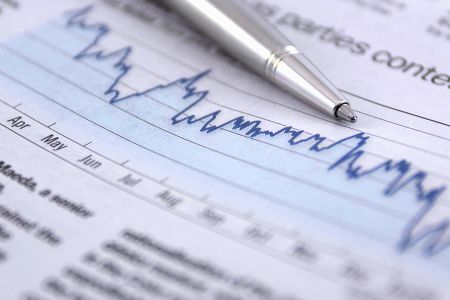 Given the tremendous gains achieved in the first two months of the year, positions that have seen allocations increase as a result of capital appreciation will have to be trimmed, resulting in a rotation away from the winners and into those areas that have lagged. 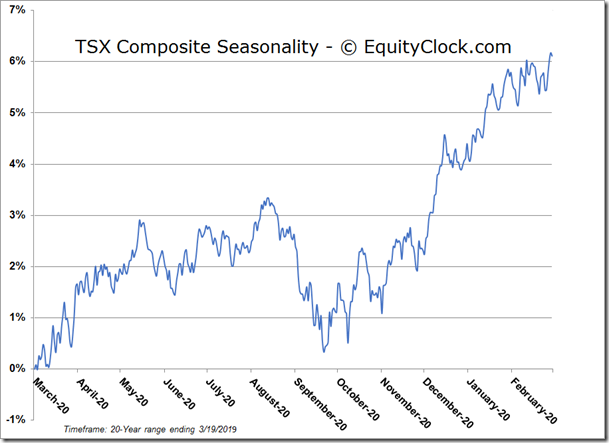 The opposite scenario was realized at the end of the fourth quarter when investors rotated towards the laggards following a substantial fourth quarter selloff. The shift, this time around, is not expected to be as extreme as it was at the end of last year. 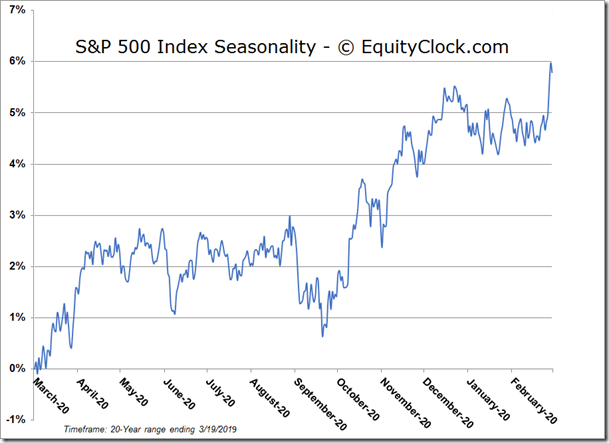 Seasonally, flat or negative mean reversion trades into the end of the first quarter are not typical given that January and February are typically weaker months. 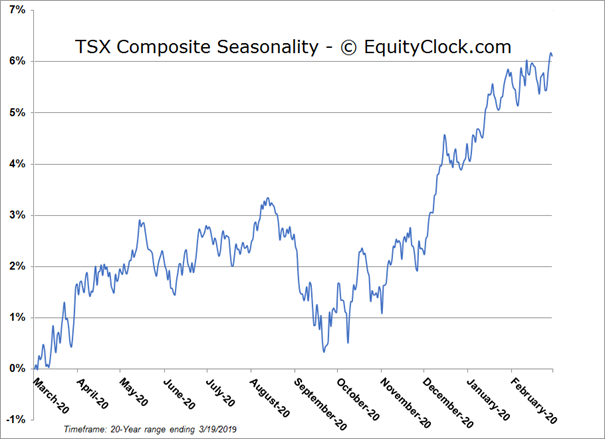 Assuming no technical damage, buying pressures would be expected to resume in April, a seasonal strong month for equity inflows. 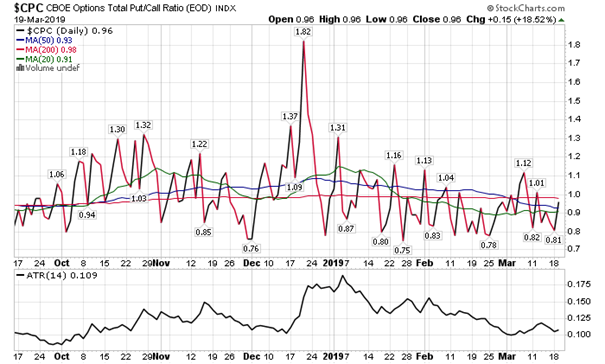 As mentioned, it was the interest rate sensitive areas that acted as a drag on the broad market on Tuesday. The S&P 500 Financial Sector Index was lower by three-quarters of one percent, while the Utilities benchmark was lower by over one percent. Treasury yields, meanwhile, were little changed. 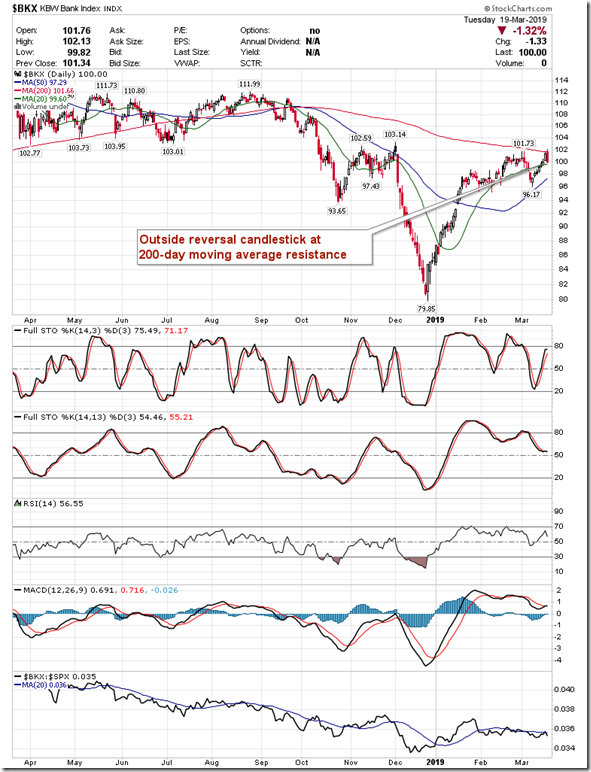 The KBW Bank Index charted an outside reversal candlestick where the day’s range between the open and close encompassed that of the previous session. 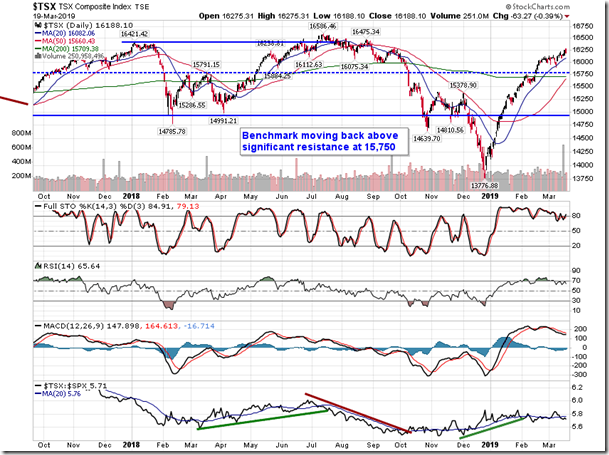 This is typically a negative setup that could result in a short-term double-top on this widely followed financial benchmark. 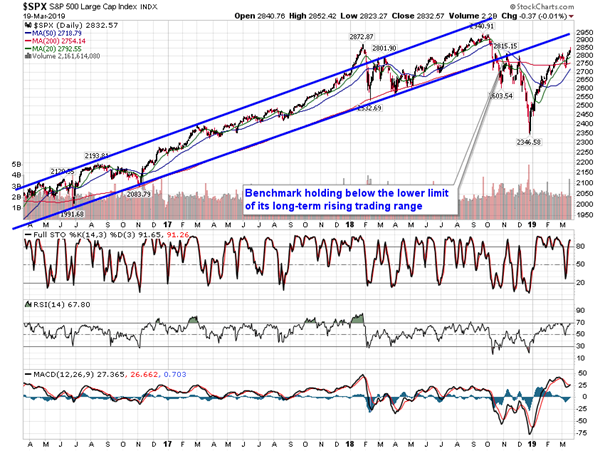 Reaction to the FOMC announcement in the days ahead could be critical. 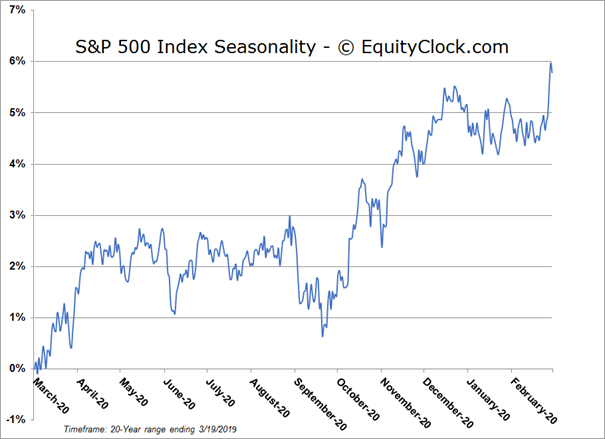 Seasonally, bank stocks tend to gain through the month of April, outperforming the market in the process. 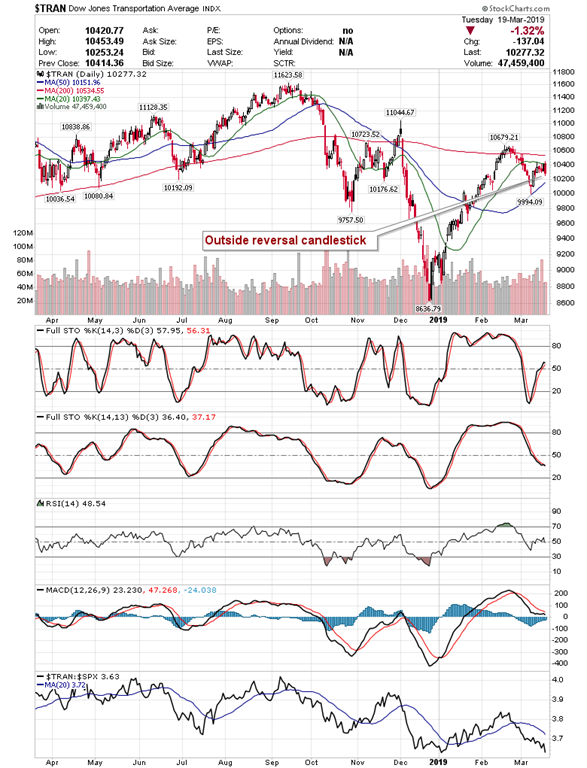 Banks were not the only area of the market to chart this ominous candlestick pattern. 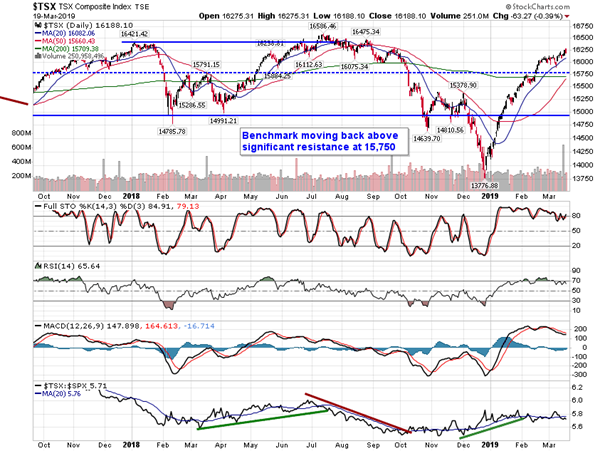 Transports, as gauged by the Dow Jones Transportation Average, realized a similar bearish engulfing candlestick. 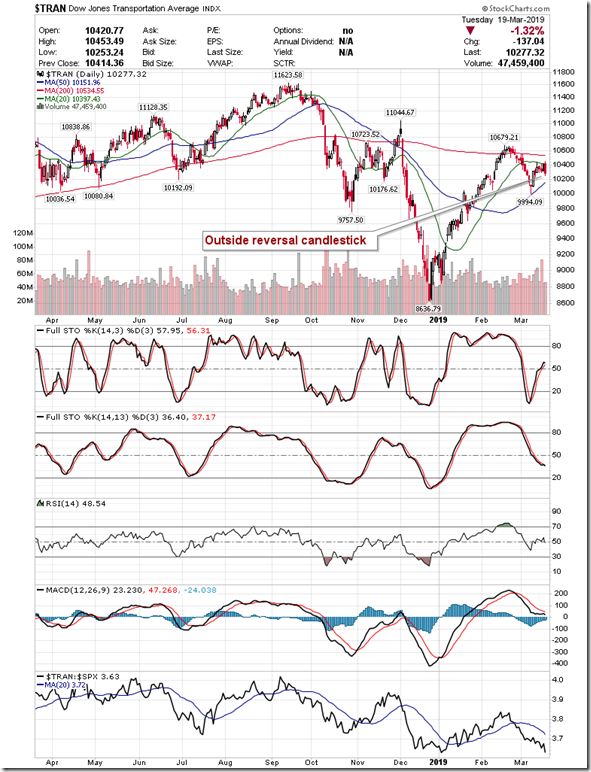 The benchmark is becoming pinned between a confluence of major moving averages and a breakout, whether up or down, appears imminent. 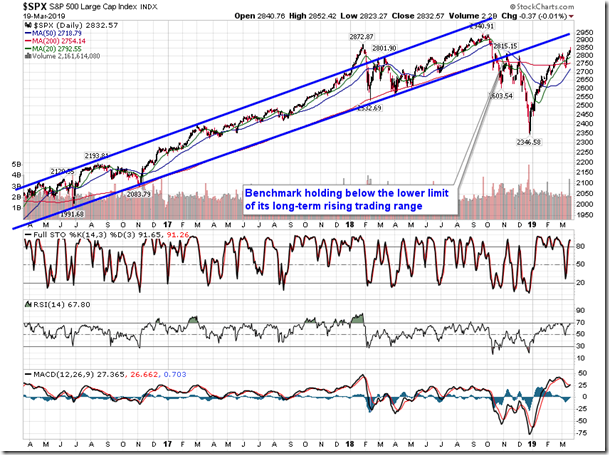 Of course, as was pointed out in our last report, failure of this benchmark to break a trend of lower-lows and lower-highs could send a signal to the market of waning breadth, effectively the key premise to Dow Theory. 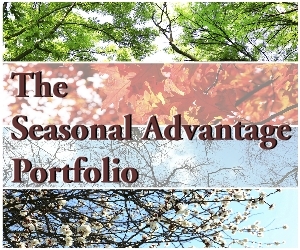 Seasonally, transportation stocks typically gain through to the start of May. Just briefly on the report of US Factory Orders for the month of January, the headline print indicated a 0.1% gain for the month, edging pasts estimates that called for no change. Stripping out the seasonal adjustments, orders were actually lower by 6.0%, which is much better than the 8.1% average decline for the first month of the year. We have uploaded the charts directly to the database at https://charts.equityclock.com/u-s-factory-orders. Subscribe now for unlimited access to this valuable resource. 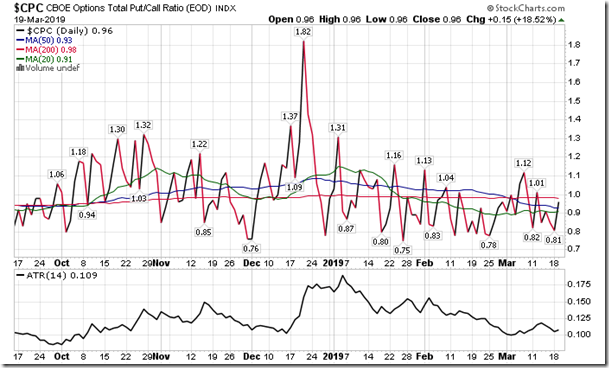 Sentiment on Tuesday, as gauged by the put-call ratio, ended close to neutral at 0.96.